First Line: As Inspector Ashwin Chopra (Retd) stood below the soaring arch of the Gateway to India, gazing up at the Grand Raj Palace Hotel, he couldn't help but reflect on the history of that architectural marvel that, over the decades, had graced countless covers of countless magazines around the world. When American billionaire Hollis Burbank is found dead in the Grand Raj Palace Hotel a day after buying India's most expensive painting, it would suit all the powers that be to have the investigation handled quickly and any potentially embarrassing facts to "disappear." It simply has to be a suicide. But no matter how much the police officer in charge is pressured, he's not so sure Burbank took his own life. Since he's under too much scrutiny to follow his instincts, he calls in a man he knows he can trust: retired Inspector Ashwin Chopra, now head of the Baby Ganesh Detective Agency. In no time at all, Chopra discovers that there's a hotel filled with people who have a reason to want Burbank dead. Now all he has to do is prove which one actually carried out the murder. When this series began with The Unexpected Inheritance of Inspector Chopra, I wasn't entirely sure which direction it would take. There was a supernatural element that really didn't fit well with the rest of the story. However, with each new book, this series has gotten stronger and stronger, and now I have to get my hands on each new installment as quickly as possible. 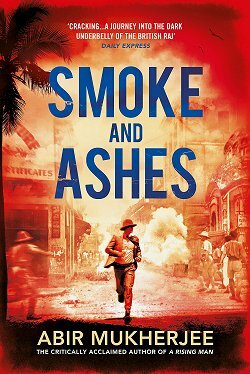 I first began reading because I was desperately missing my Vish Puri fix-- the superb series written by Tarquin Hall. Now I still miss Vish Puri, but I've found that Ashwin Chopra does not stand in the shadow of the wily investigator from New Delhi. Not at all. Khan always includes interesting bits of Mumbai history in his books, and Murder at the Grand Raj Palace is no exception. There are several things going on at this opulent hotel, and one of the most important involves Chopra's wife, Poppy, who wants their twenty-fifth wedding anniversary to be very special. There's only one problem: her husband refuses to cooperate, so she finds herself drawn into the mystery of a young woman who's run away from an arranged marriage. 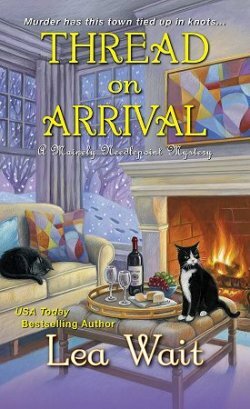 This runaway bride subplot is the weaker of the two, but I cut Poppy some slack because it's her first real investigation-- and it provides some fantastic laugh-out-loud comic relief. 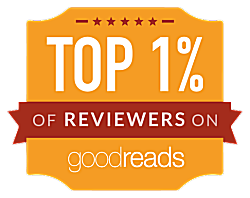 The major investigation concerning the billionaire is as twisty-turny as any crime fiction lover can want, and it really kept me guessing. 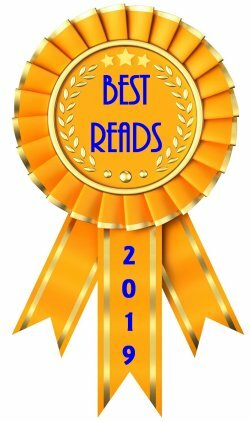 To this first-rate mystery, readers can then add uproarious scenes of a baby elephant tracking someone through the hotel, and characters like Big Mother (Shubnam Tejwa Parwardhan, former maharani of Tejwa, and her Panzer-like wheelchair). 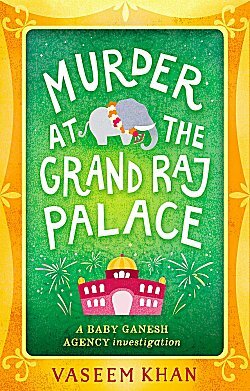 Murder at the Grand Raj Palace is a wonderful puzzle for the mind and the perfect balm for the spirit. If you haven't tried the series yet, I urge you to do so. Begin at the beginning with The Unexpected Inheritance of Inspector Chopra because these characters do grow and change. Now... follow that elephant! That does it, Cathy. I must. read. this. series. I still haven't started it, and I've wanted to for a while now. Thank you for reminding me that it's there. I like it that it keeps getting stronger, so I've a lot to look forward to once I start. Like Margot, I need to read this series. I'm thinking that next year, our mystery group will do an India theme one month. This series would fit right in. And I miss Vish Puri too. There's a good chance your book club would love it, Kay. I have it on my shelf! Just need to get it into the reading queue!